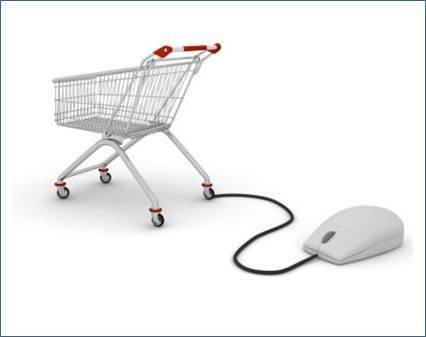 Perspective | E-commerce in 2013: Where is it headed? There is no doubt about the fact that e-commerce in India is set for a rapid growth in the coming future and the year 2013 seems very promising. While 2012 witnessed consolidation and increase in e-Commerce, the current year looks set for consolidation of the trend. Even the latest IAMAI Internet Watch Report indicates that e-Tailing is witnessing steady growth. We are seeing that with the growth of e-commerce and mobile the mindset of people has completely changed. This change is quite visible. We at Adgully caught up with some industry experts to understand the growing and expected trend in the current year and in the next two years. Experts like Murlikrishnan B. Country Manager, eBay; Girish Nair , CEO Netcore Solutions; Jonathan Bill, Senior Vice President, Business Development & Innovation, Vodafone India; Arun Sharma, VP Marketing, Bharti Airtel; Aditya Save, Head - Media & Digital Marketing, Marico and Mohit Hira, Senior Vice President & Regional Business Leader-Airtel and JWT expressed their views on growing trends in internet, e-commerce and mobile space. Jonathan Bill believes that more awareness, correct usage and more consolidated content will surely make mobile and internet grow. Businesses are quite ready to take a healthy shape. Expressing his views on the observed trend that usage of mobile internet might reduce the usage of other mediums of internet like desktops, laptops etc, Girish Nair said, “looking at the growing usage of mobile-internet, Yes over the span time India will move away from using desktops and laptops. Even middle-age people who were earlier avid users of desktops and laptops are seen moving away and getting closer to mobile phones.” He believes that mobile in any way would lead the race. Here Arun Sharma strongly opined that it hardly matters. He believes consumption matters not the medium because with time mediums will always change. Even Jonathan Bill believed that mobile has off course taken over all the mediums and that is in a way good as it shows how the mindset and the market is growing. While Jonathan Bill here opined that mobile advertising has seen a tremendous growth in India which obviously shows how India as a market has potentially grown; Aditya Save here opined that since India has a huge population with television and print as a primary reach medium so looking at mobile phone’s growing reach in our country it is expected that mobile will be a key driver and will grow robustly. So this will see India’s growth as a market. As it has been heard and learnt that mobile, internet and social media segment are still growing so what are the challenges that are being faced in this segment? According to Girish Nair, the basic challenge is regulation. He believes that there has been a constant flux in regulatory rules which creates instability in the market. Secondly awareness is most important and there should be a proper usage of the medium. According to Arun Sharma, Mobile is a very latest medium and is at a nascent stage. The biggest challenge for all the marketers is how to utilize the medium and the users that are connected to it. So the challenge lies in the method of using social media in terms of selling your product. It clearly means how to convince all the people related to such mediums to buy a product. Speaking about challenges in e-commerce and social media, Adita Save said, “Mobile marketing has traditional mindset and consumer services and acceptance is not the issue here but advertising services are a big one. He believes that social media is like going to somebody’s house personally and selling the product so acceptance of the medium and the product is a big challenge here whereas e-commerce in our country is yet to grow. People are still hesitant in paying online. He feels that once the companies and the brands will start giving values to their customers, customers will tend to shift. A very clear example is of the time (8-10 years ago) when Air Deccan offered tickets at Rs1 but if booked online and that was the time when Internet was in its infancy. But still a lot of people went online and booked the ticket. The industry needs to give the customers options which will make them accept the move and the shift. So after reading and considering the points shared by the experts; it is very easy to say that while 2012 was a turning point for mobile and internet space, trends in 2013 seems to clearly visualize.